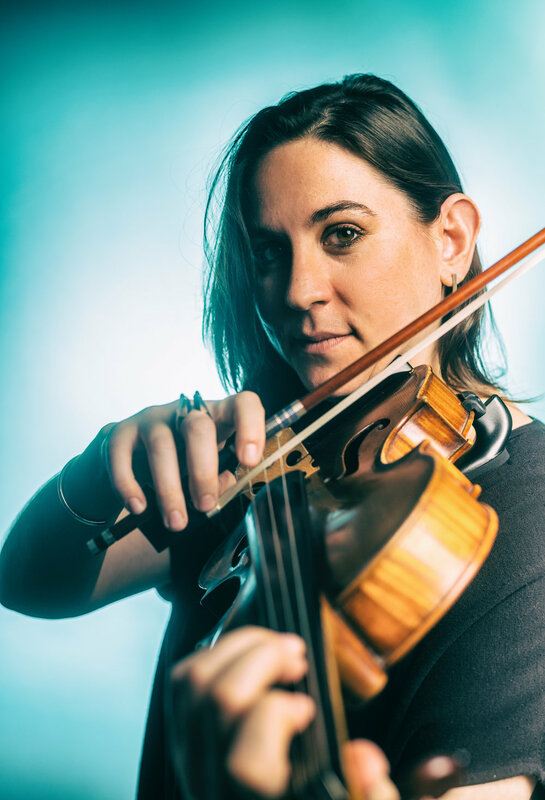 Violist NADIA SIROTA's varied career spans solo performances, chamber music, curation, and broadcasting. In all branches of her artistic life she aims to open classical music up to a broader audience. Nadia’s singular sound and expressive execution have served as muse to dozens of composers, including Nico Muhly, Bryce Dessner, Missy Mazzoli, Daníel Bjarnason, Judd Greenstein, Marcos Balter, and David Lang. Nadia won a 2015 Peabody Award, broadcasting’s highest honor, for her podcast Meet the Composer, “the world’s best contemporary classical music podcast” (Pitchfork), which deftly profiles some of the most interesting musical thinkers living today. For the 2018-19 season, Nadia teams up with the New York Philharmonic as their first-ever Creative Partner, a position created for her. In this role, she will host nine contemporary music concerts over two new series: Nightcap and Sound ON, the latter of which she will also curate. As a soloist, Nadia has appeared with acclaimed orchestras around the world, including the Detroit Symphony, the Colorado Symphony, the National Arts Centre Orchestra, the Spanish National Orchestra, and the Orchestre National d’Île-de-France. To date, she has released four albums of commissioned music, most recently, Tessellatum, Donnacha Dennehy’s groundbreaking work for viola and microtonal viola da gamba consort, featuring Liam Byrne. Nadia has also lent her sound to recording and concert projects by such artists as The National, Arcade Fire, and Grizzly Bear. Nadia is a member of the acclaimed chamber sextet yMusic. Their virtuosic execution and unique configuration have attracted high profile collaborators, including Ben Folds, Son Lux, Anohni, and The Staves, and inspired an expanding repertoire of original works by prominent composers, including Andrew Norman, Caroline Shaw, and Chris Thile. This Spring and Summer, yMusic is proud to join legendary artist Paul Simon on stages around the world for his “Homeward Bound” Farewell Tour. Nadia has received the ASCAP Deems Taylor Award, for her work in radio, and Southern Methodist University’s Meadows Prize, awarded to pioneering artists and scholars with an emerging international profile. She sits on the board of directors of Chamber Music America, the national service organization for ensemble music professionals. Nadia received her undergraduate and Master’s degrees from the Juilliard School, where she studied with Heidi Castleman, Misha Amory, and Hsin-Yun Huang.